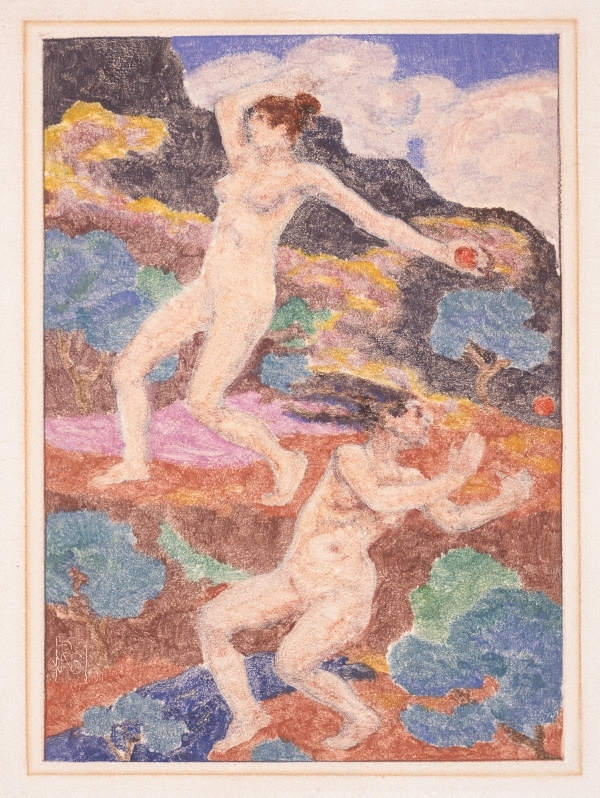 This monotype is from the latter of Bunny's two serious forays into making colour monotypes, this in the early 1920s. Characteristically high-keyed in colour and fluid in design, Bunny's late monotypes tended towards a flat picture plane emphasising lyrical movement, evoking of the themes of music and dance. One hundred monotypes were commissioned by the Galeries Georges Petit in Paris, where they were exhibited in 1921 and 1924. Signed to print l.l. with monogram, “RWB”. Not dated.